Alison Thewliss MP today prioritised children’s future health by showing their support for the UK Government’s ambitious soft drinks industry levy. The event organised by the Obesity Health Alliance, a coalition of over 35 health charities, medical royal colleges and campaign groups, offered a chance for MPs to show their support and learn more about the benefits of the soft drinks industry levy, as well as talking to clinical experts who busted popular myths about the levy. The Soft Drinks Industry Levy, also known as the sugar tax, is one of a few vital measures with strong potential to help make our children healthier. We know that our children are eating too much sugar, with their main source being sugar sweetened soft drinks which is contributing to more than one third of our kids being overweight or obese by the time they leave primary school. Added to this children from deprived areas of the UK are twice as likely to be overweight or obese as their counterparts from less deprived areas, whilst more likely to consume sugar sweetened soft drinks. Obese children are five times more likely to become obese adults, increasing their risk of developing serious health conditions like type 2 diabetes, cancer, liver and cardiovascular disease and associated mental health problems. Obesity also currently costs the NHS at least £6billion a year. 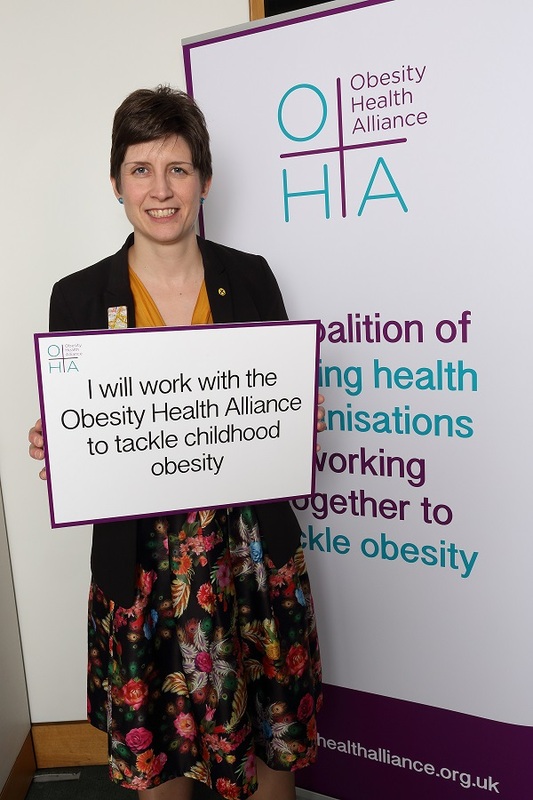 Alison Thewliss MP said: “We have a childhood obesity crisis in this country. It’s unbelievable how much sugar is in many of the drinks our children regularly consume. These drinks easily become part of their regular diet and usually have no nutritional value so just end up being empty calories.